Thank you for making a gift to support Sheridan School. As you consider your gift, we hope you will aim high and make the best gift you can. Contributions of $2500 and above are recognized as leadership gifts. Our leadership donors establish a strong foundation for the Annual Fund and help us sustain an inclusive and socioeconomically diverse community. Donors who contribute at this level are recognized at a fall reception. If you have the means, we hope you will serve as a leadership donor this year. 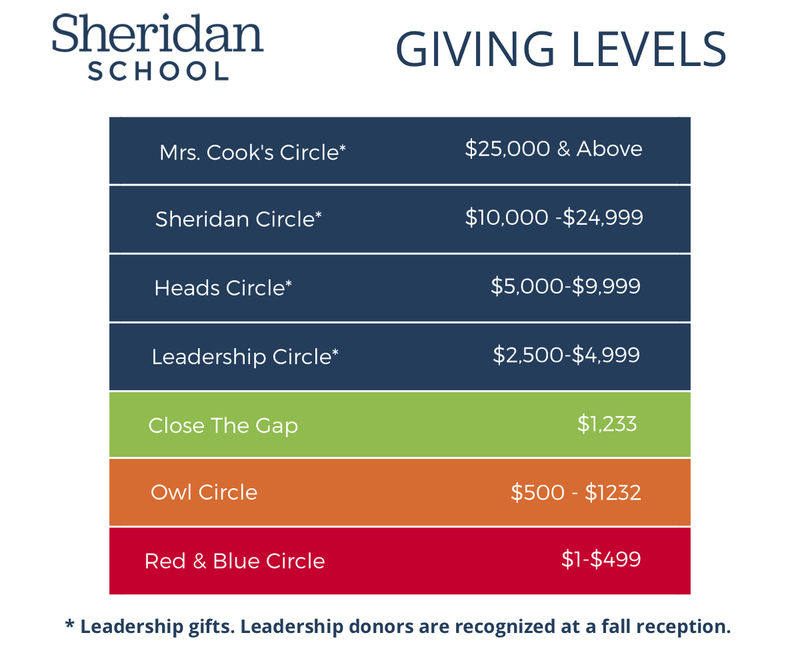 If you have any questions about giving, please contact Maureen Minehan, Director of Advancement, at 202.507.7733 or mminehan@sheridanschool.org.